Integrate Photoshop into curriculum to get the most use out of your licensing. If your school or district is paying for Adobe Photoshop CC subscriptions you want to use this software regularly. It is expensive to provide to students. For this reason, do not limit its use to just one teacher, assignment, unit, or course. Adobe Photoshop CC is more than just photo editing software. It is a powerful creativity tool that can be used to support learning. Use these suggestions to integrate Photoshop into curriculum. 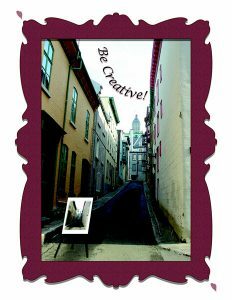 Include Photoshop software as part of a photo editing class. Experiment with techniques to filter, retouch, recolor, and superimpose images. These skills can then be transferred to other academic classes to produce one-of-a-kind publications. Integrate Photoshop software into curriculum for a digital photography course. Teach the history of photography and how to use a digital camera. Afterwards, have students use their skills to assemble a collection of photos. They can then use Photoshop to enhance the quality, correct imperfections, and produce artistic effects. Offer a yearbook workshop that teaches photo editing techniques using Photoshop software. Include activities that provide an understanding of tools and program features. These skills can then be applied by students to enhance the quality of images included in school publications. Introduce Photoshop software prior to beginning a web design unit. Teach digital manipulation techniques. These skills can then be used to create original images for web purposes. Infuse technology into a traditional arts program. Integrate Photoshop into curriculum. Have students engage in the creative process by exploring digital art tools. Apply the elements of design to produce beautiful artwork. Are you looking for activities to introduce photo editing techniques to your students? TechnoPhotoshop, published by TechnoKids Inc., is a technology project that has step-by-step instructions. The detailed assignments make learning Photoshop fast and easy.